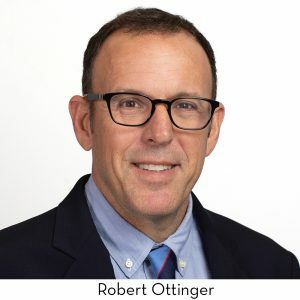 San Francisco, Calif. – April 8, 2019 – Ottinger Employment Attorneys, a leading law firm specializing in employment issues, today announced it has filed a civil suit against Optimizely, Inc., a privately held San Francisco-based software company whose customers include IBM, Microsoft, eBay and Apple. Amongst other charges, the civil complaint alleges racially based Disparate Treatment, Retaliation, Violation of Whistleblower Protection and Failure to Pay Wages to the Company’s only African American executive. The lawsuit, filed today in California Superior Court, San Francisco County arises from an all-too-familiar narrative: targeted racial discrimination against one of Silicon Valley’s only African American tech executives. The Plaintiff in the case, Aaron McCormick, was the only African American Account Executive at Optimizely. Overcoming this lack of representation at Optimizely and in Silicon Valley in general, Mr. McCormick excelled at his work. He immediately became the second highest performing Account Executive at Optimizely after securing one of the Company’s largest deals with Apple, Inc., worth $1.9 million. Despite this achievement, Optimizely excluded him from joining upper management on the President’s Club trip to the Caribbean. The trip was a reward for high performing Optimizely employees and anyone else CEO Jay Larson, in his discretion, elected to recognize. Without ever having a prior policy in place, Jay Larson told Mr. McCormick he was ineligible to go on the trip because he had not joined the Company prior to June. Mr. McCormick started in July and was thus the only individual impacted by this ad hoc policy. CEO Larson and Optimizely also created a second policy directed solely and exclusively at Mr. McCormick. Optimizely imposed a higher sales quota on Mr. McCormick after securing the Apple deal while not raising the quota on other similarly situated, high-performing Account Executives. In other words, rather than reward Mr. McCormick for his objectively superior results and successes at the Company, Optimizely chose to single out and punish its only African American Account Executive. To top it all off, Optimizely even refused to pay Mr. McCormick his full commission earnings, an action directed at no other Account Executive. Again, rather than reward Mr. McCormick for his work, Optimizely chose to single out and underpay the only African American Account Executive at the Company. Mr. McCormick reasonably and lawfully responded to this illegal and unfair treatment by raising his concerns with Optimizely’s top executives, including Founder Dan Siroker and CEO Jay Larson. Optimizely responded by summarily firing him. In doing so, Optimizely has deliberately withheld nearly half a million dollars in commission wages from Mr. McCormick without justification. Prior to the filing of this Complaint, Plaintiff filed charges of retaliation and failure to prevent harassment in violation of the FEHA with the California Department of Fair Employment and Housing (“DFEH”) against the Defendant. The DFEH charges arose out of the same facts alleged herein. On March 8, 2019, Plaintiff received a “right to sue” letter as to Defendant from the DFEH. Copies of Plaintiffs DFEH Charges and Notices of Right to Sue are attached to the Complaint. See Nitasha Tiku, “Tech Workers Unite to Fight Forced Arbitration,” Wired, Jan. 14, 2019, available at https://www.wired.com/story/tech-workers-unite-fight-forced-arbitration/. Brentin Mock, “When It Comes to Tech, Racial Disparities Are Far Worse Than Gender Disparities,” CityLab, Oct. 5, 2017, available at https://www.citylab.com/equity/2017/10/when-it-comes-to-tech-racial-disparities-are-far-worse-than-genderdisparities/542013/. Nico Grant, “Tech Companies Still Aren’t Hiring Black Workers,” Bloomberg News, Jun. 8, 2018, available at https://www.bnnbloomberg.ca/tech-companies-still-aren-t-hiring-black-workers-1.1089919. Anna Wiener, “Why Can’t Silicon Valley Solve Its Diversity Problem?,” The New Yorker, Nov. 26, 2016, available at https://www.newyorker.com/business/currency/why-cant-silicon-valley-solve-its-diversity-problem.